Total Packaging Solutions, supplier of eco-friendly packaging products for the food industry, has expanded their line of compostable cups. The new full eco-friendly cup line now contains hot and cold cups, soup cups, and accessories such as compostable lids and paper sleeves. Hot cups ranging in size from 8oz to 16oz. 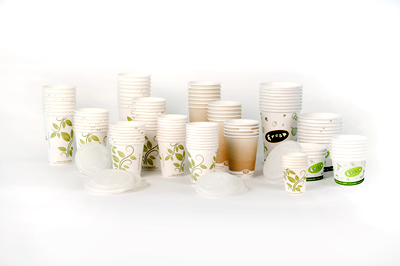 To learn more about Total Packaging Solutions’ compostable cup products, contact us.